Ms. Mary Day joined the Mater Misericordiae University Hospital in 2008 as Director of Nursing and assumed the concomitant function of Head of Operations in 2011. 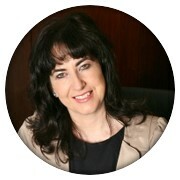 Mary received Adjunct Associate Professor at the UCD School of Nursing, Midwifery and Health Systems in December 2010. Mary was appointed CEO of the Mater in January 2013, and Group CEO for the newly formed Ireland East Hospital Group in 2015. Mary’s previous experience traverses diverse roles in oncology/haematology nursing in the UK and Ireland and included a two-year term in the Department of Health as Nurse Advisor in Professional/Practice Development, being responsible for supporting the Chief Nursing Officer on all aspects of policy affecting nursing and midwifery education and healthcare services. Mary has a very keen interest in organisation redesign and process improvement, which is translated in the delivery of a Mater Lean academy and a service improvement office for the Group. Her ambition is for the Group is to become an Academic Healthcare System which is strongly underpinned by academia, research, innovation and best practice. Ireland East Hospital Group (IEHG) is a structured organisation of 11 hospitals working together to deliver world class healthcare. IEHG has advanced significantly since its establishment in 2015. As Ireland’s largest and most complex hospital network in terms of population, staffing, budget, number of hospitals, counties and community healthcare organisations, our defining feature is a tripartite mission of delivering high quality clinical care, medical education and research. We are collaborating with a wide range of partners to provide optimum integrated primary and community care to address the evolving needs of our population. As we shape ourselves for success, we are seeking to align and improve our clinical services, information systems and corporate operations so that we can improve safety, clinical outcomes and patient experience. We have established a Transformation Office for Change, Innovation and Programme Management to ensure the successful delivery or our three-year corporate plan (IEHG Corporate Plan 2017-2020). The challenge is to improve the way we work collectively through our disparate partnerships and we are working hard to retain and recruit the most dedicated and skilled professionals. We are making dynamic moves to establish ourselves as a world-class healthcare provider. We have commenced plans to develop an Academic Health Science Centre (AHSC) to ensure that medical research breakthroughs lead to direct clinical benefits for patients. In this regard the role of University College Dublin (UCD) as our academic partner is vitally important. Generations of doctors, nurses and allied health professionals who are graduates of UCD and other colleges provide the core clinical competencies in our hospitals. A resourceful Lean organisation such as ours depends on its people and behind our ambitious agenda lies an innovative and progressive spirit. Compassion and a deep sense of commitment to our patients have created a cohesive culture that determines the exceptional performance of our staff. I am extremely confident and optimistic about our future. Our objective is to become the most technologically advanced hospital group in the Irish health system working with all healthcare partners in the provision of integrated care and an organisation that every staff member and service user can be proud of. To support this ambition IEHG is embracing the application of Lean management to build a strategic and management model for operational excellence and continuous improvement to enable real and lasting healthcare transformation.